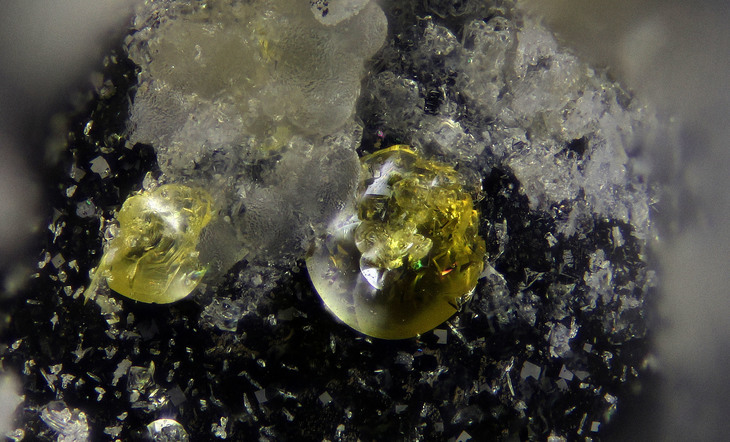 Thorikosite: Mineral information, data and localities. 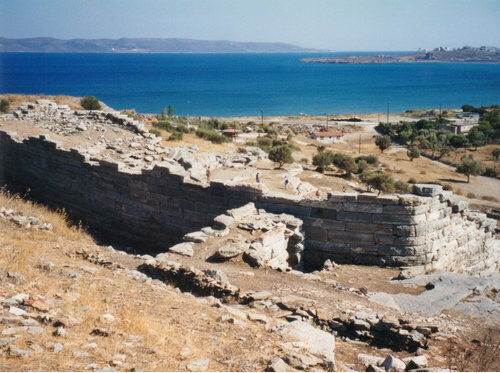 Named after the ancient site of Thorikos, near the discovery locality at Thorikos Bay slag locality. 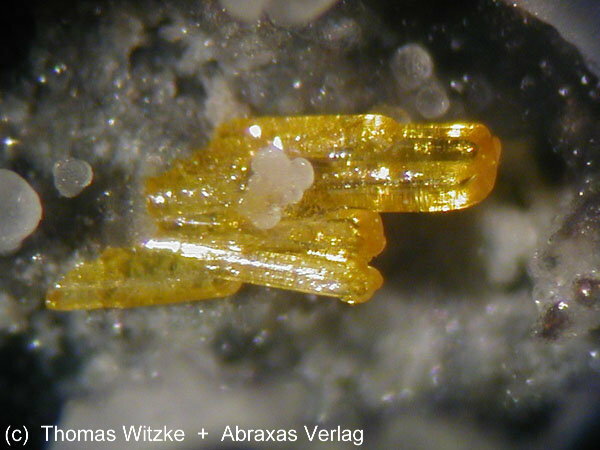 This page provides mineralogical data about Thorikosite. Fluorite 5 photos of Thorikosite associated with Fluorite on mindat.org. Paralaurionite 4 photos of Thorikosite associated with Paralaurionite on mindat.org. Cerussite 4 photos of Thorikosite associated with Cerussite on mindat.org. Blixite 3 photos of Thorikosite associated with Blixite on mindat.org. Hydrocerussite 2 photos of Thorikosite associated with Hydrocerussite on mindat.org. Calcite 1 photo of Thorikosite associated with Calcite on mindat.org. Anglesite 1 photo of Thorikosite associated with Anglesite on mindat.org. Dunn, P.J. & Rouse, R.C. 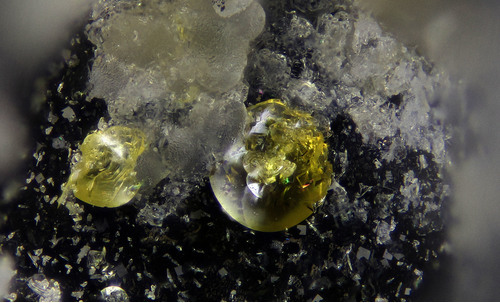 (1985): Freedite and thorikosite from Langban, Sweden, and Laurion, Greece: two new species related to the synthetic bismuth oxyhalides. American Mineralogist, 70, 845-848. Rouse, R. C. and Dunn, P. C. (1985): The structure of thorikosite, a naturally occurring member of the bismuth oxyhalide group. J. Solid State Chem. 57, 389-395. Schnorrer-Köhler, G. (1986): Neufunde in den Schlacken von Lavrion. LAPIS 11 (6), 25-29; Dunn, P.J. & Rouse, R.C. 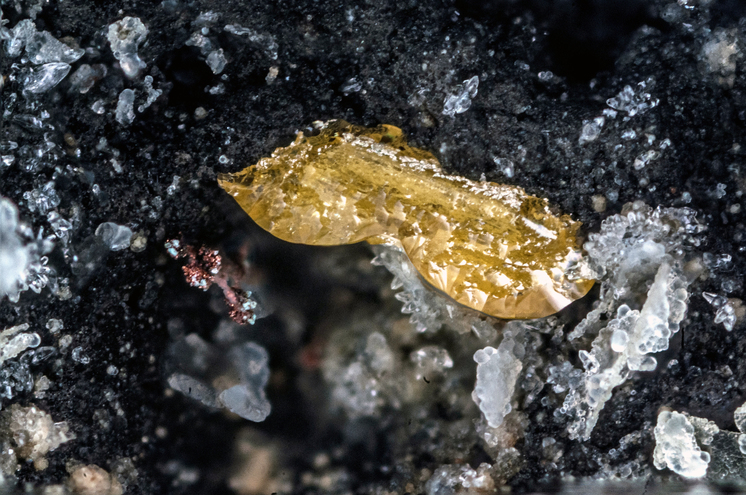 (1985): Freedite and thorikosite from Langban, Sweden, and Laurion, Greece: two new species related to the synthetic bismuth oxyhalides. American Mineralogist, 70, 845-848. Gelaude, Piet, Piet van Kalmthout amd Christian Rewitzer, "Laurion" The minerals in the ancient slags.